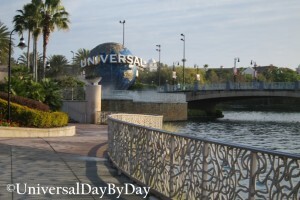 Universal Studios is Universal’s original park and for a long time, it was the only park. At Universal Studios you’ll find a variety of rides (new and old), a couple of play areas for young children, and plenty of shows for all ages. Because of the many side streets in the New York and San Francisco section, it can be a little more difficult to travel around Universal Studios, than Islands of Adventure. At Universal Studios you’ll find eight sections. What does each section have? Travel with us around Universal Studios to find out! Animal Actors on Location Show Animal Show. Curious George Goes To Town Play Area Wet play area where children can splash and play. Despicable Me Minion Mayhem 4D Movie 40 inches Guests enter a theater with 3D glasses where seats vibrate and move. Disaster Ride Simulation Guests board a subway car and are taken into an area that simulates an earthquake. E.T. Adventure Moving Dark Ride 34 inches Guests board bicycles and fly above the city with E.T. Fievel’s Playland Play Area Play area for children.